26th August 2012 – Today I did something that you should never do. Take it as an example of how not to go to sea! 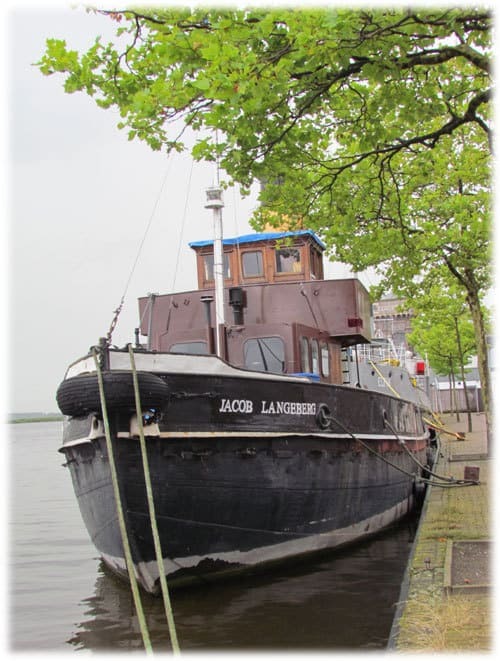 If I knew everything when I arrived in Blankenberge, I might have considered going back home! Upon arrival I discovered there were no charts, binoculars or a working VHF radio. I had my mobile phone with all the important phone numbers with me. There were life jackets and our navigation lights were working. With a simple plan of following the coast line, I thought we could make it easily. When I left Blankenberge, it was still dark. I had trouble leaving the harbour because of heavy waves hitting us. Quickly I realized following the coast line was not that easy. I then tried moving the boat from one buoy to the other. After two buoys, I never found a third one. By then the day came and I could clearly see the coast and all the buildings. Three hours later I was in Ostend. 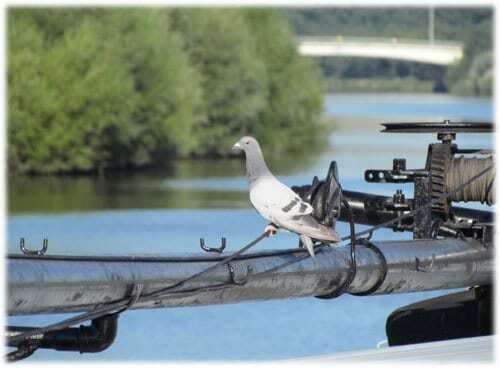 The harbour authorities didn’t like it I had no VHF. We had to wait for some time before they let us continue the journey to Bruges. Nevertheless it was a nice experience and a good journey. While sitting on my own boat in the afternoon, a nice little Luxe Motor passed by. It was the Hielke. 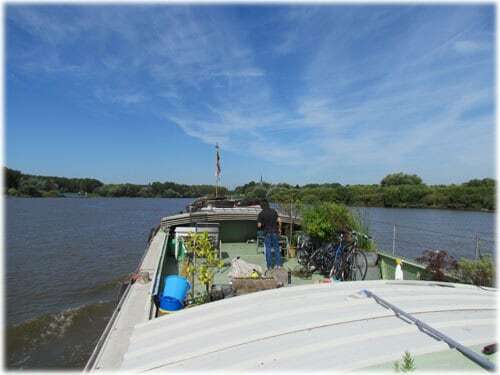 21st August 2012 – Because of the heat and some other activities, I haven’t been working on the Hornblower. Today I drilled a few holes for the wiring. I connected one socket as well. It doesn’t seem much, but I had to drill through so many layers it took me 20 minutes to get through! 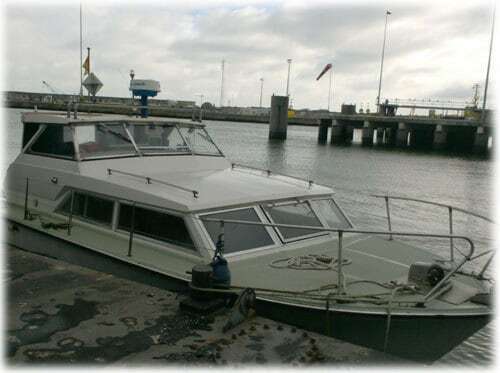 20th August 2012 – I had a look at a yacht of a friend in Blankenberge. It had been a while since I last visited the yacht harbour. 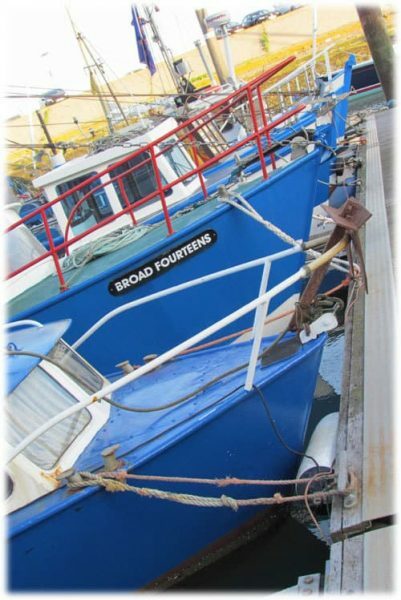 It is a small port along the Belgian coast. 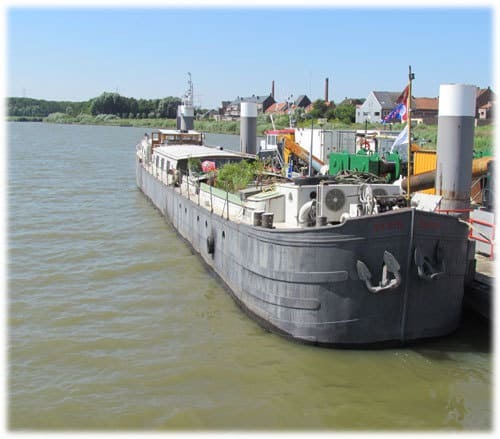 18th August 2012 – A friend was in need of some help to move the spits barge Waterbloem. We brought it from Ghent to Bruges. I helped him. 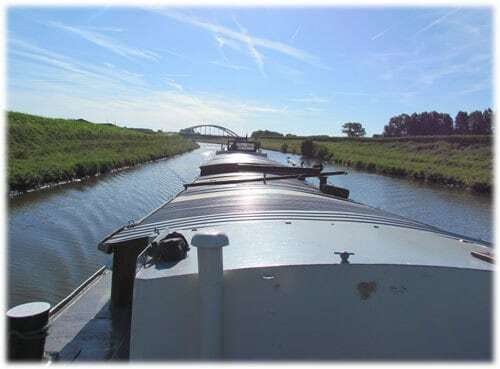 It was around 34°C and standing in a wheelhouse above an engine was not exactly refreshing! 16th August 2012 – I forgot to put my plastic pipes for the electricity. I always use plastic draining pipes to put through my cables. It took me some time to get them between the hull and the insulation. I drilled the holes for the sockets in the living room and started to put the cables. 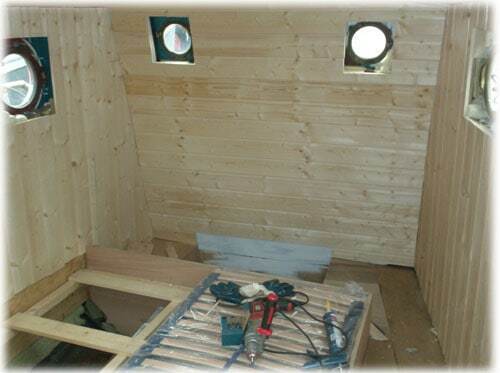 15th August 2012 – We mainly continued working in the bedroom. 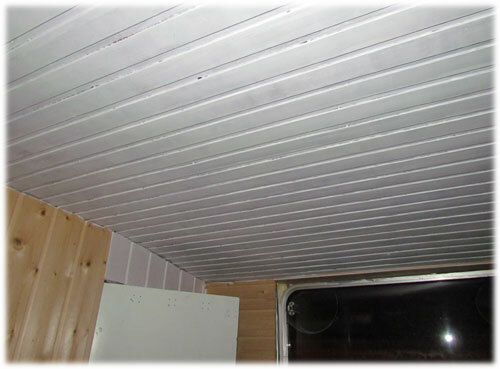 All the walls are finished and we have just started the ceiling. I’m not sure whether it will hold or not. 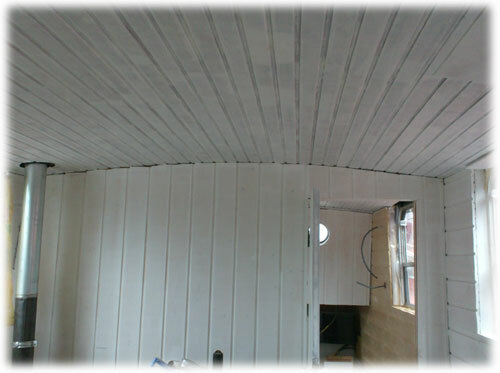 We have to bend the wood a little to much for the curve of the ceiling…. 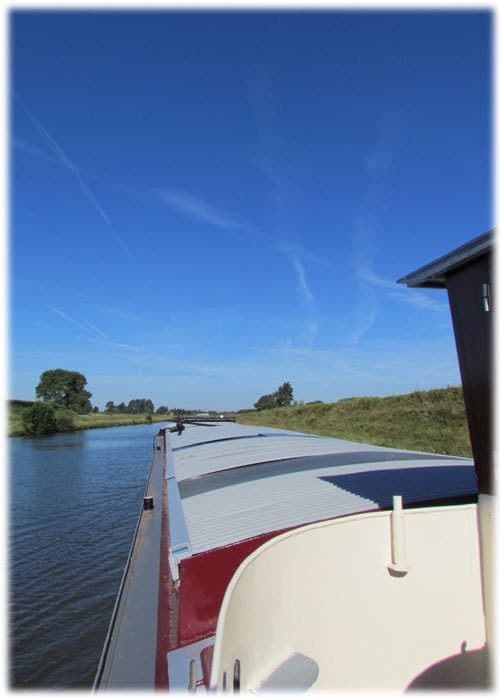 12th August 2012 – A houseboat in Belgium needs to go to the shipyard every five to six years. This means I can join on a lot of trips for pleasure or working. Today I joined for both! 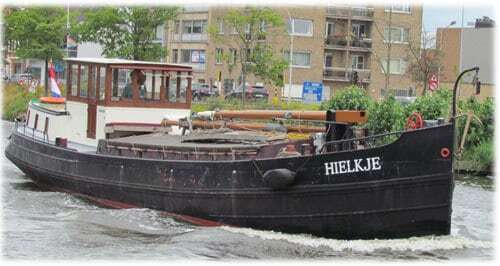 We brought a spits barge from Ghent to the yard in Rupelmonde. It is the same Yard I took the Watergeus to in May 2012. 11th August 2012 – My mother continued painting the living room while I did some electricity. 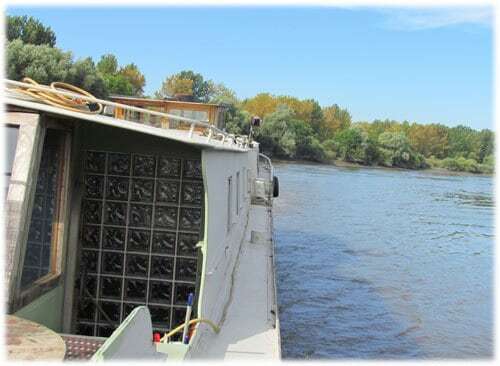 7th August 2012 – The finish for the Hornblower will be similar to the one of the Watergeus. 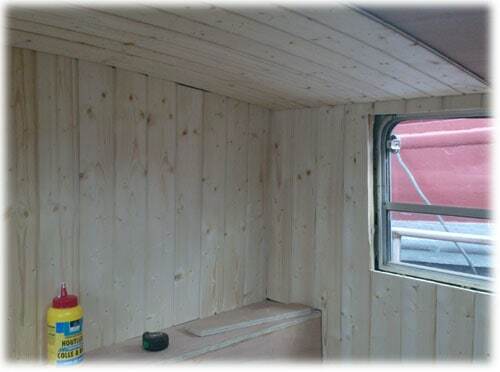 T&G wood will be used. A few months ago I did the living room, now I’m starting with the bedroom.